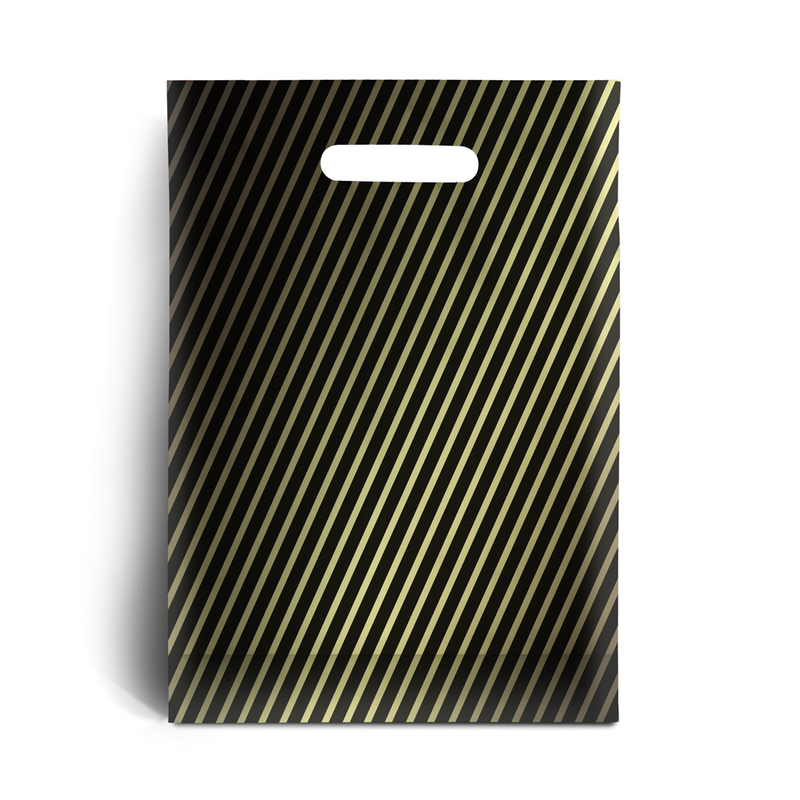 Our Black and Gold Stripe Range of Plastic Carrier Bags offer an unbelievable value for money and a great quality. Available in a range of four sizes, we are sure won't find the equivalent bag cheaper anywhere else on the internet! Picture is for illustrative purposes only, if size is important please ask for a sample. Black plastic carrier bags printed 100% in a gold stripe design. Made from a strong HDPE film.